Bring your own Project! This can be your favorite project from Pinterest or other PHD (project half done) or work on your scrapbook pages. Just want a release? Come make a free Make-and-Take and a Make-and-Donate. Where: Southglenn Library Your RSVP guarantees you a work space & a make & take. 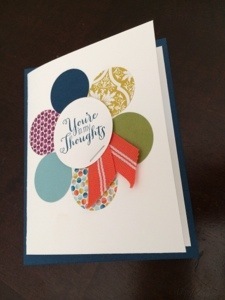 FEATURING Make & Donate cards for Operation Write Home. (All supplied provided). This entry was posted in Uncategorized on April 7, 2014 by katzcreates.